Offering a private outdoor plunge pool and free WiFi, Spain Select Carmen de los Moriscos is located in Granada. 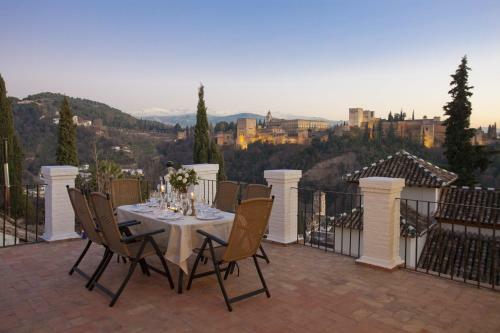 This villa includes a private terrace with views of The Alhambra. This hotel is 1186 metres from the Alhambra entrance, 504 metres from Plaza Nueva (the absolute centre of Granada), 1512 metres from the train station and 2697 metres from the bus station.